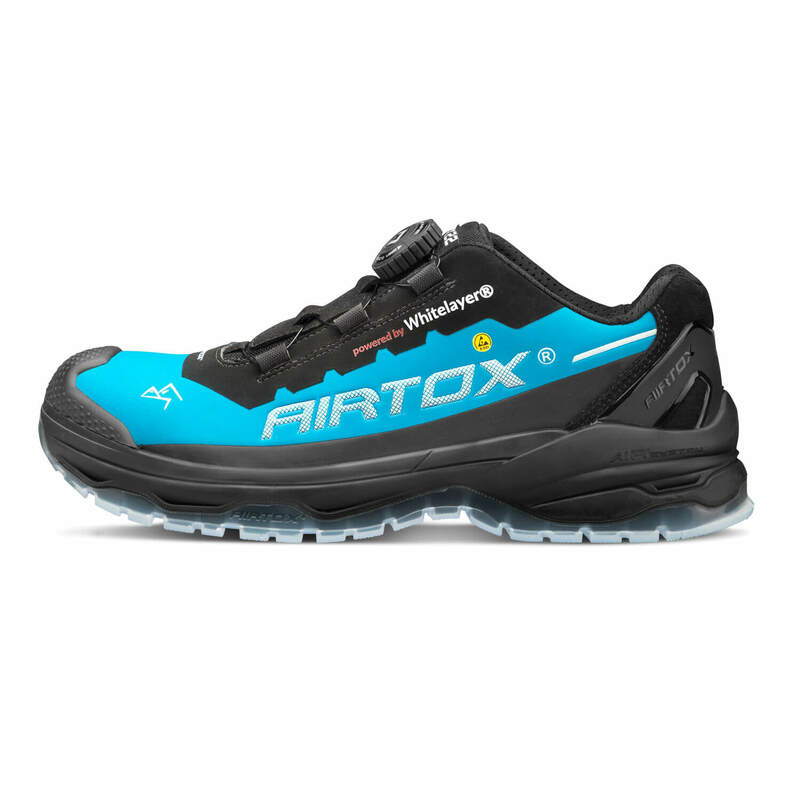 AIRTOX TX22 safety shoes will make it hard for you to believe you are actually wearing safety footwear. 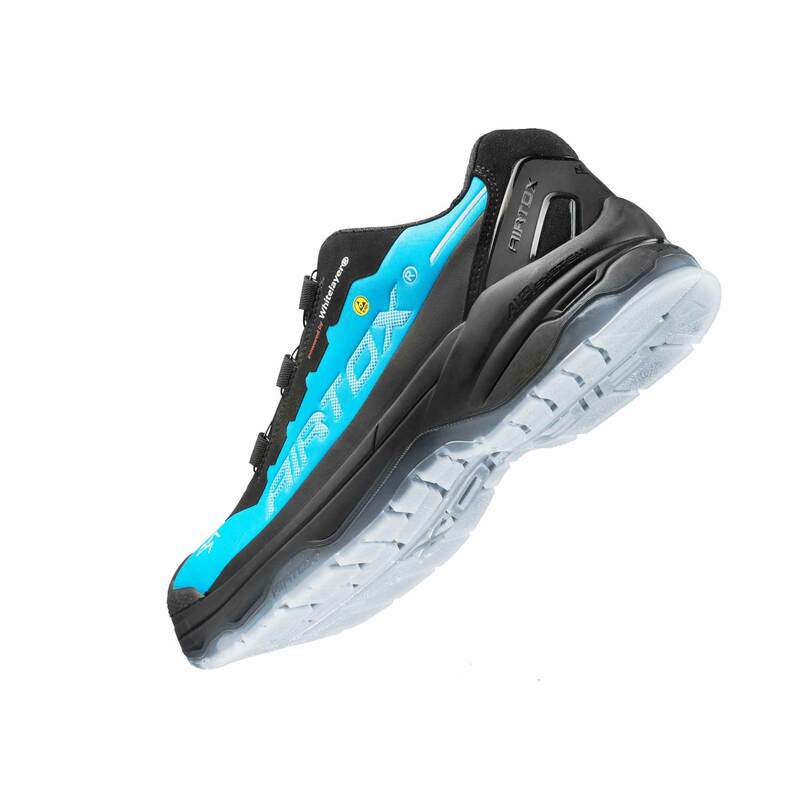 As a part of the latest series from trend-setting AIRTOX, they are characterized by the new “Trans-Am” AIR Sole and an advanced microfiber material for the upper, making them so flexible, soft and comfortable to make you think you are walking in everyday sneakers. In addition, they feature the revolutionary UTURN® lacing system, which makes them extremely easy to tie and untie. 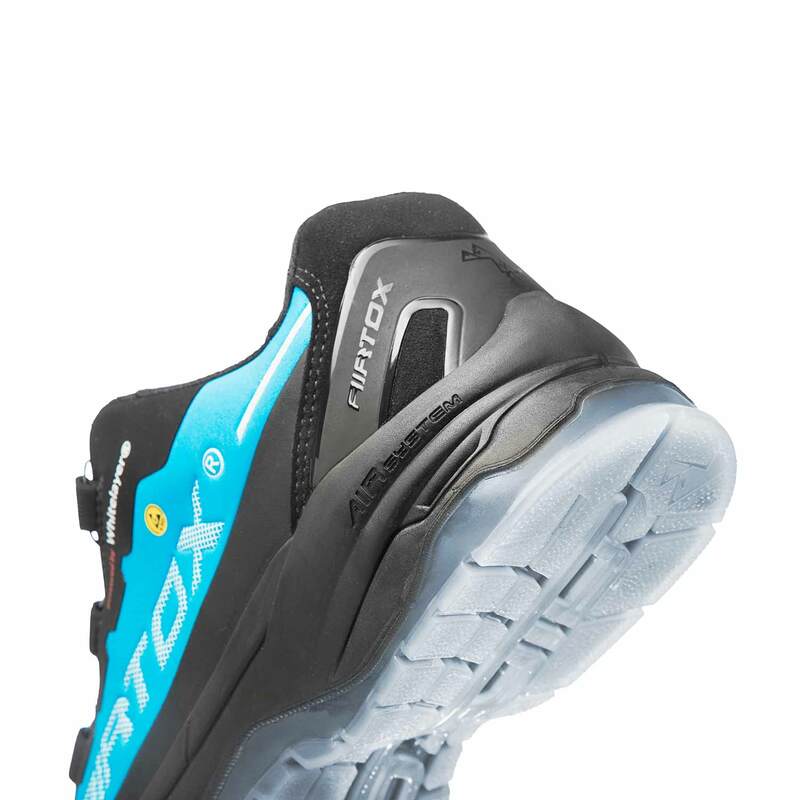 What makes TX22 safety shoes so comfortable? To ensure that you gain the most from your TX22 safety shoes, always remember to wear the right pair of socks. 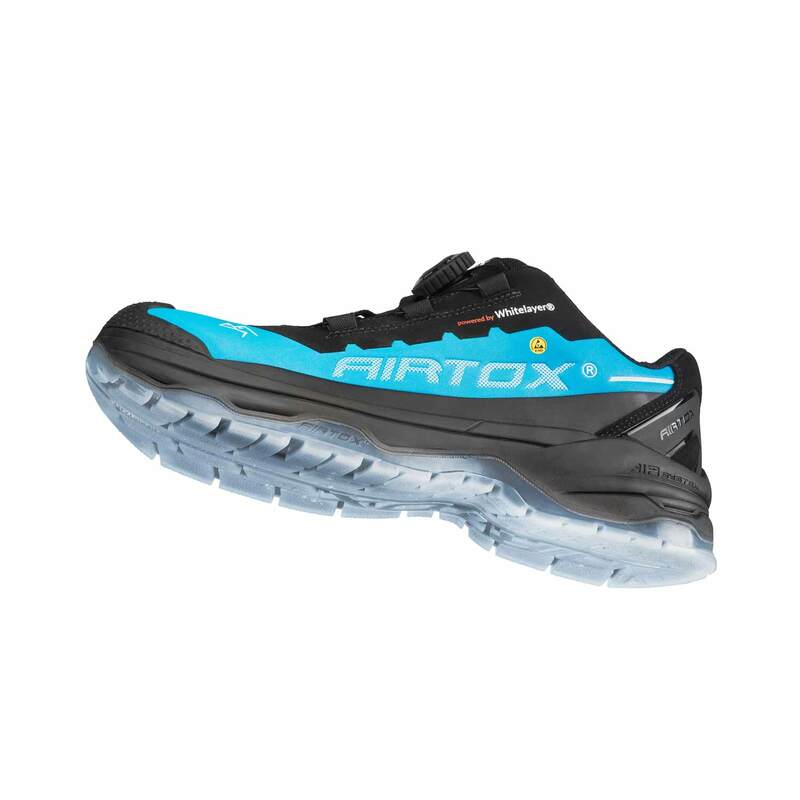 We recommend technical anti-moisture socks, typically made for hiking, running or snow sports. Wearing normal socks made from cotton is a common mistake instead, as these types of materials retain additional moisture, leaving you with the feeling of damp and uncomfortable feet. 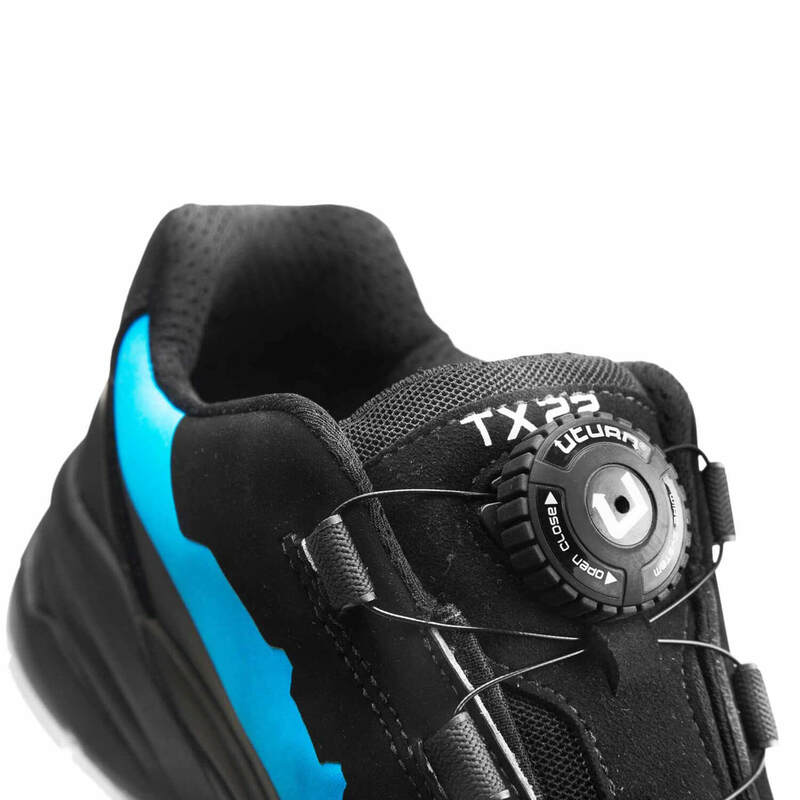 Available in one color version: blue and black (for non-UTURN® and different color combinations see TX1, TX2 or TX3, for midcut boot version – check TX66).